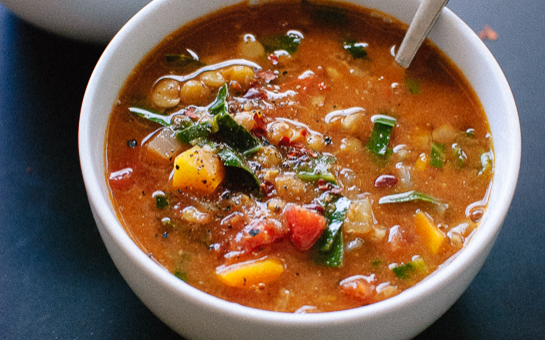 A loaded veggie soup with vegetable broth, carrots, onion, tomatoes, kale, and lots of lentils. Ready to heat and eat. A side of Dorothy Lane Market’s sprouted grain bread and a simple green side salad with Pesto Vinaigrette.